You are working on a project that has several pages, and you need to store it in a standard digital format. It is without a doubt that the best format to use is PDF format, which enables you to view files from any device without changing its content unless you edit. To scan multiple pages, you need an efficient scanner that will give you perfect results. So, what's the best scanner to create PDF from scanner mac? 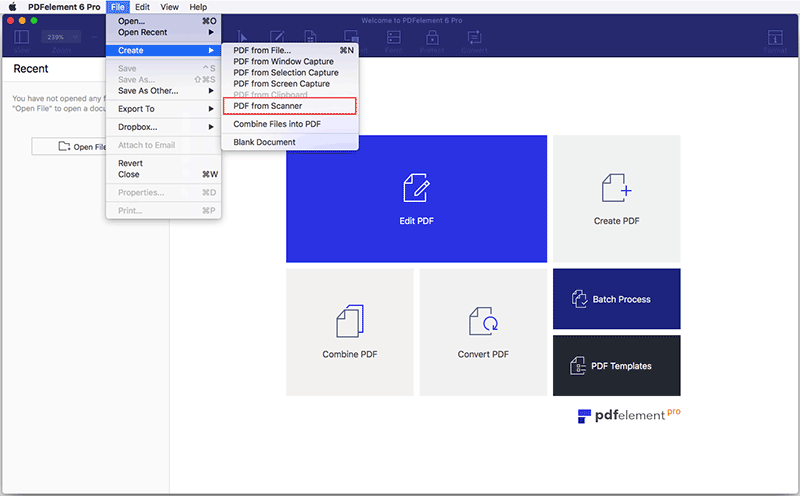 In case you are not aware, well, this article will guide you on how to scan to PDF on Mac 10.14 Mojave with PDFelement for Mac. Launch PDFelement for Mac to start to create a PDF file from scanner Mac. Simply click the "File">"Create">"PDF from Scanner" button on the top menu (Home menu) on your Mac. Doing this will automatically activate "Create from Scanner" feature. How to scan multiple pages into one PDF on Mac? The first step is to choose the scanner or the device that you want to use. Next, set the Pages and other options that you need. Then click the "Scan" button to start scanning. After scanning, the PDF file you have created will be opened in the program directly and you can save it on your computer.After using the above steps to scan to PDFs on your Mac, if you are wondering how to combine scanned documents into one PDF on Mac, then please refer to this article about how to merge PDFs on Mac. To create PDF file from scanner Mac requires a suitable program that will effectively scan and produce a high-quality PDF document. In this regards, there are many tools out there but the best program to use is PDFelement for Mac. 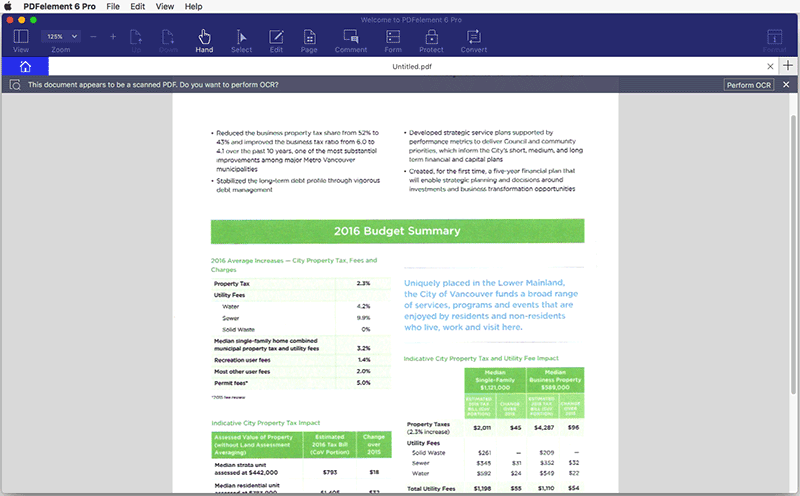 As a matter of fact, PDFelement for Mac has been proven to be an all-in-one PDF editor that can perform several functions in the world of PDF. Among the plethora of PDF functions, it is the best tool to create PDF documents with a scanner. Also, PDFelement for Mac, as the name suggests, has proven itself better than most PDF viewer programs. It can perform other functions such as combining multiple pages into a single PDF plus it can edit, annotate, convert forms and even extract data from PDF files. It also has OCR features that allow you to modify the scanned documents. The world is digitizing in almost all aspects, and fewer paper offices are the in-thing. Digitizing documents has become the trend. Therefore, scanning and saving PDF files on Mac is a great option. Here are two tips to guide you through the process. You can make your scanned PDF file searchable. This will be vital in case the file as long as this will make finding content seamless. You can clean the text if necessary. For instance, some numbers will look like letters from the scanned documents so you will have to tweak them in the PDFelement for Mac settings when converting. In conclusion, paperwork can be archived and stored offsite but you will need to convert them to PDF to get to use them digitally. So, why not try using the PDFelement for Mac to get your scanned files in PDF?